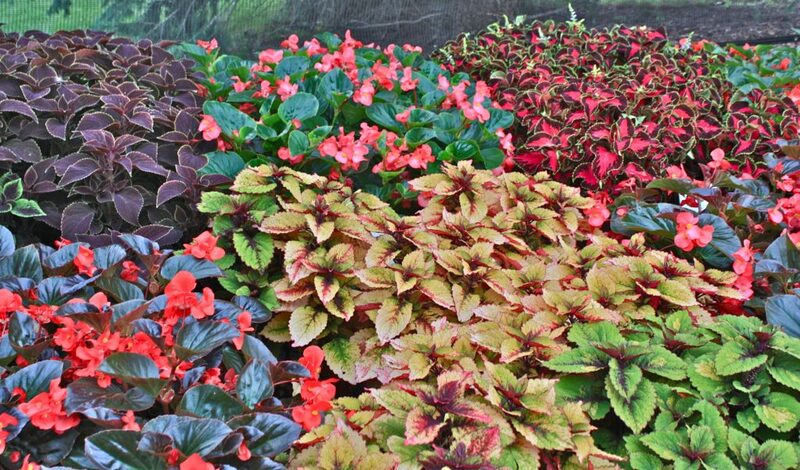 On July 26 soldiers from the Wisconsin Army National Guard received training at the University Display Gardens. The instruction focused on growing techniques for grapes, apples, and vegetable crops. The training was part of a week long series ‘Agriculture 101’ that was coordinated by the UW Babcock institute. 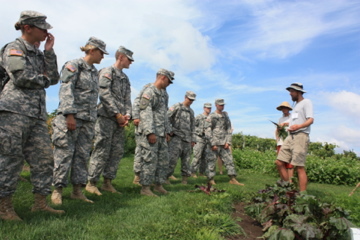 The soldiers were given an overview of many agricultural topics to help prepare them for their service dealing with civilian farmers abroad. This entry was posted in Events, Fruit, garden update, Instruction, Project, Vegetables and tagged 2012, Babcock Institute, Dane County, educational programs, Flower Evaluations, Food storage, fruit, garden educational programs, gardens, madison, organic, outreach, plants, University Display Gardens, UW, vegetable trials, vegetables, WI ARMY National Guard, wisconsin by bemerson. Bookmark the permalink.